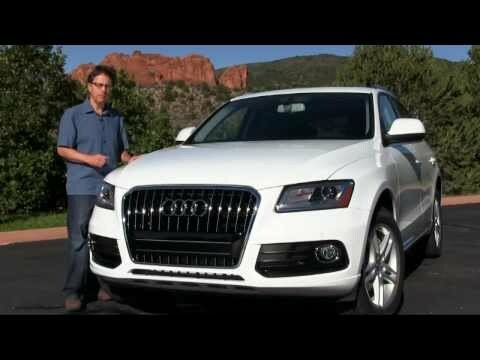 I love my Audi Q5-it's a smaller compact SUV, which is great for me because I don't want to drive something too large. The interior feels spacious enough and comfortable and I've had very few issues with the car since I purchased it. The only issues I've had are very minor- there is a slight whistle from the driver's side window while driving high speeds and I can't figure out what is causing this. The brakes are in perfect condition but have squeaked slightly since I purchased the car. There have also been numerous recalls (at least 3) on the vehicle since I purchased it, but there appeared to be no real issues with the car when I've talked to service techs. All in all, I love the car because it's a great looking vehicle, suits my needs, and has a very comfortable interior. It drives smoothly and my husband prefers it to his Civic which has all the bells and whistles. The beauty of the Audi q5. My q5 is definitely the most comfortable SUV - it is even more comfortable than the 4-door sedan I had. Between individual heat/cool controls for the front and back passengers, individual seat heat controls, and great sound system. I love the "smart" dash that indicates when it is close to time for the vehicle's next service. People love riding in my "luxury" car compared to having to ride in theirs which means I am usually the designated driver. That it has good mileage for less gas. It is fast and has good mileage. This car can get you to places in no time. There sunroof is awesome because it expands all almost to the back seat. The seats are very comfortable. During the winter the car heats up fast and the seat warmers are amazing. Also the sound system is pretty awesome because if you turn up the bass, it makes you feel like your at a club.